According to the DOT, shopping or retail tourism, is one of the country’s tourism products being promoted by the DOT aggressively especially with the increasing global attention given to the country as a tourist destination. 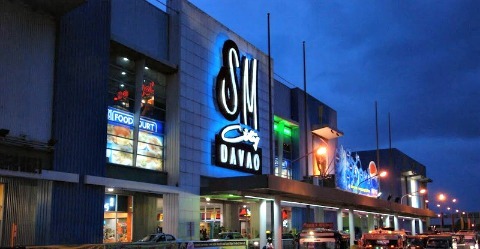 This comes as DOT-XI recently launched the Visit Davao Fun Sale, the country’s first-ever citywide shopping festival. The event is now on its second year. From a four-week long sale in seven participating malls last year, the public can now indulge on a six-week / seven-weekend-shopping-spree and enjoy great premium deals in nine of Davao City’s biggest shopping centers. Visit Davao Fun Sale will run from April 3 until May 7 with seven of Davao City’s biggest shopping centers offering great premium bargains for as much as 80 percent discount. According to DOT XI Regional Director Roberto Alabado, III, the Visit Davao Fun Sale is aimed at bolstering Davao City’s ever dynamic urban image. “It is characteristic Dabaweño to always outdo oneself. That is to say, Visit Davao Fun Sale is going to be double the excitement, double the adventure, double the fun,” Alabado said. “This year, Cebu Pacific will bring us to even greater heights as they join hands with us in making air travel to Davao from any point in the Philippines more convenient and more affordable,” he added. Cebu Pacific Air is the official air travel partner of Visit Davao Fun Sale, giving a huge number of seat sales from all the budget carrier’s service points to Davao from April 3 to May 17. Alabado, meanwhile, said that this campaign is all part of the DOT Region XI’s efforts to “grow Mindanao” and to “put Davao in the map as the next big thing in shopping and eco-tourism”. DOT Secretary Ramon R. Jimenez, Jr., for his part, said there is practically something that will strike every shopaholic’s fancy at the Visit Davao Fun Sale, which is now on its second year. “One thing is for sure, one will not leave Davao empty-handed,” Jimenez said.